In the magazine’s 2013 survey results, WaterColor Inn & Resort is among an elite group of resorts scoring above 90 in the annual survey. WaterColor Inn & Resort is #3 on the “Top 40 Resorts in Florida” according to the readers of Condé Nast Traveler. In the magazine’s 2013 survey results, WaterColor Inn & Resort is among an elite group of resorts scoring above 90 in the annual survey. The designation as #3 in the “Top 40 Resort in Florida” is determined by a readers’ choice survey where travelers are asked to rate each resort’s location, overall design, service, dining, activities and more. 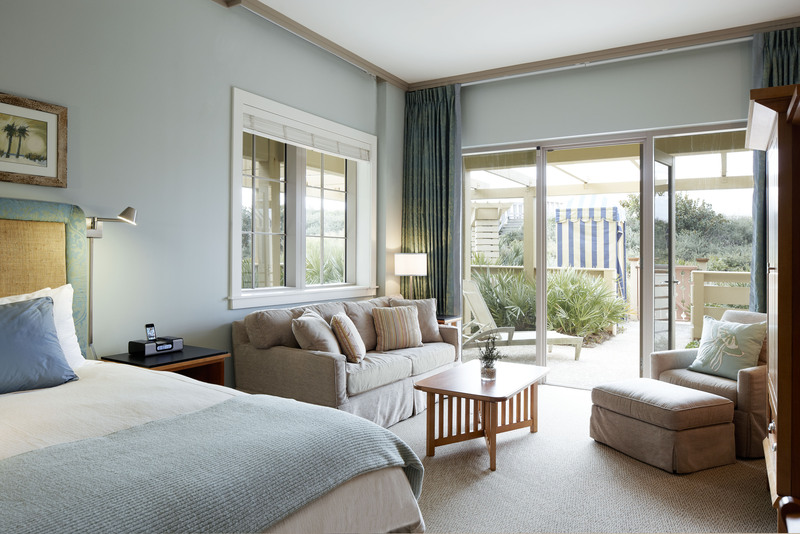 Catering to guests of all ages, the AAA Four-Diamond and Forbes Four-Star WaterColor Inn & Resort offers numerous amenities including a BeachClub, several swimming pools, tennis center, spa, and Kids Camp. 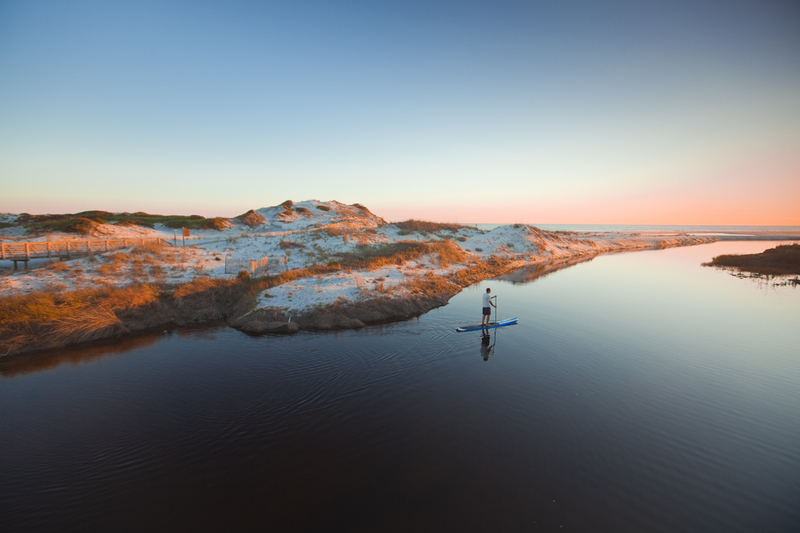 Bicycles, kayaks, YOLO boards and canoes make it easy for guests to ride to the neighboring towns, paddle through the Western Lake (a rare coastal dune lake) and hike the resort’s woodland trail system. Golfers have three courses to choose from: the Tom Fazio-designed Camp Creek Golf Club, the Greg Norman-designed Shark’s Tooth Golf Club, and the Origins course designed by Davis Love III for family and short play. Santa Rosa Beach accommodations range from the intimate 60-room beachfront WaterColor Inn, with the cozy, relaxed feel of a beach home featuring rooms overlooking the pristine sugar white sand and emerald green waters of the Gulf of Mexico, to the resort’s over 180 charming vacation homes with rooms ranging from one- to -six bedrooms. Also, dining at WaterColor’s highly acclaimed Fish Out of Water restaurant, overlooking the Gulf of Mexico, is not to be missed, with specialty dishes made from locally sourced and organic ingredients. Throughout the year, WaterColor hosts special events and themed retreat packages focusing on environmental awareness, art, music and more. WaterColor Inn & Resort has a long list of awards and accolades and most recently has been selected in the Travel + Leisure Top 100 “World Best Hotels” and “Best Hotels for Families”, 2013 Forbes Four-Star Resort, 2013 as a Conde' Nast Travelers -Readers Choice “Gold List” recipient and a 2013 “Platinum Circle” recipient. Also awarded in 2013 the AAA Four-Diamond rating for both the WaterColor Inn and Fish Out of Water restaurant. The InnSpa received #19 in the 2013 Conde' Nast Travelers, “Readers Spa Poll” for North America. WaterColor Inn & Resort was developed by The St. Joe Company. For more information about WaterColor visit http://www.watercolorresort.com, http://www.watercolorvacationhomes.com or call 866-426-2656. WaterSound Beach is a 256-acre gated residential community sitting directly on the Gulf of Mexico, along Scenic Highway 30-A between Camp Creek Lake and Deer Lake State Park in Northwest Florida’s South Walton County. 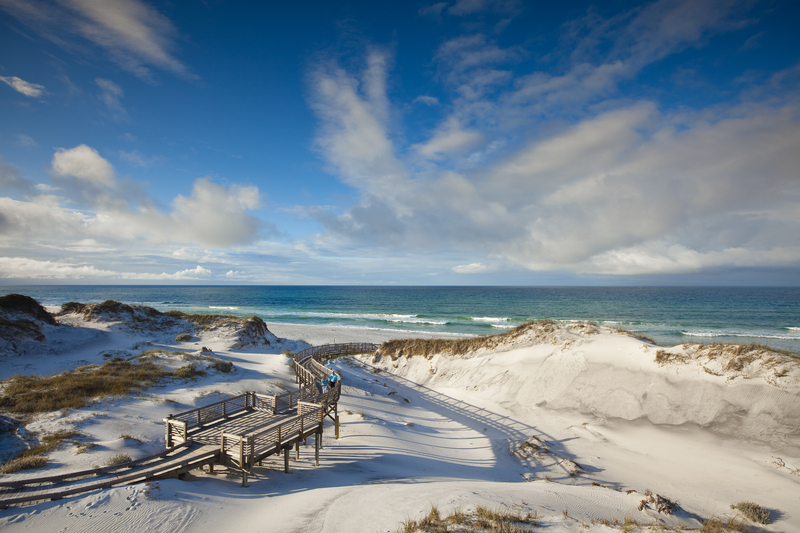 Developed by the St. Joe Company, it stretches for a mile along the Gulf Coast’s crystal white sands and emerald waters, with pedestrian bridges and footpaths linking the community are various neighborhoods, complemented by the property’s dramatic dunes and lush, natural spaces. Amenities include the private WaterSound Beach Club, with a 7,000 square foot free-form swimming pool and seasonal Duneside Grille. Two miles east of WaterSound Beach is Camp Creek Golf Course, a private, 18-hole, par 72 championship course configured by renowned designer Tom Fazio. For WaterSound vacation rentals, call 800-413-2363 or visit http://www.watersoundvacationrentals.com. Since opening in 2001, Camp Creek has been consistently cited as one of Tom Fazio's most thought-provoking, aesthetically-stunning design credits. Featuring a unique “dunescape” appearance, the layout is framed by sand dunes and native grasses. From the back green tees, the course plays to a championship caliber yardage of 7,159 and a formidable slope rating of 152 (one of the highest in the state). Camp Creek’s five-tee configuration, which also includes gold (senior) and red (women’s) tees, accommodates players of all skill and experience levels. It is ranked among the top courses in the state by Golfweek, GOLF Magazine and Golf Digest. It has also been recognized for its environmental stewardship through designation as a Certified Audubon Cooperative Sanctuary by the Audubon Cooperative Sanctuary System (ACSS). Designed by Greg Norman and voted the second best new private course by Golf Digest in 2002, Shark's Tooth Golf Club was purchased by The St. Joe Company to bolster its high-end, golf course holdings. The course stretches to 7,204 yards from the back tees and features five fairways that border scenic Lake Powell, two holes that play toward the water and numerous wooden cart path bridges that cross over streams and estuaries. Tucked among the oaks and pines along the shores of the historic lake, which has been designated an Outstanding Florida Waterway, Shark's Tooth is a challenging course that co-exists with its surroundings. Grass from the Greg Norman Turf Company was used on the fairways, approaches and rough. The course is a Silver Signature Sanctuary Course as accredited by the Audubon Signature Program. The St. Joe Company, a publicly held company currently based in Santa Rosa Beach, is one of Florida's largest real estate development companies and Northwest Florida's largest private landowner. St. Joe is primarily engaged in real estate development and sales, with significant interests in timber. More information about the Company can be found on its website at http://www.joe.com.